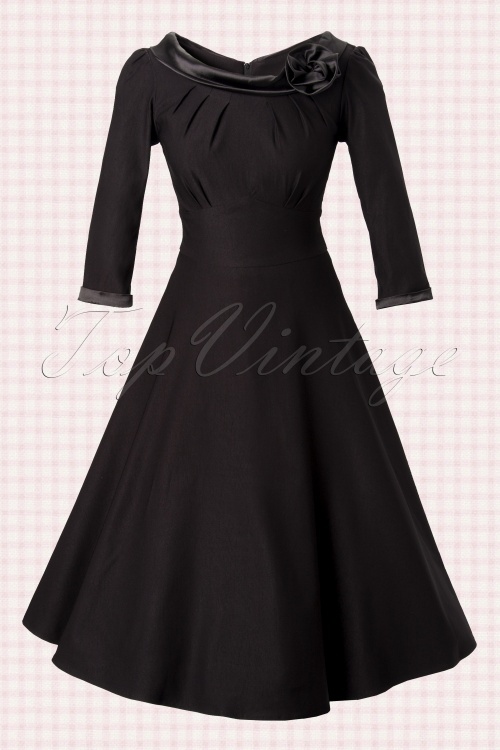 The 50s First Lady Swing dress black by Stop Staring! 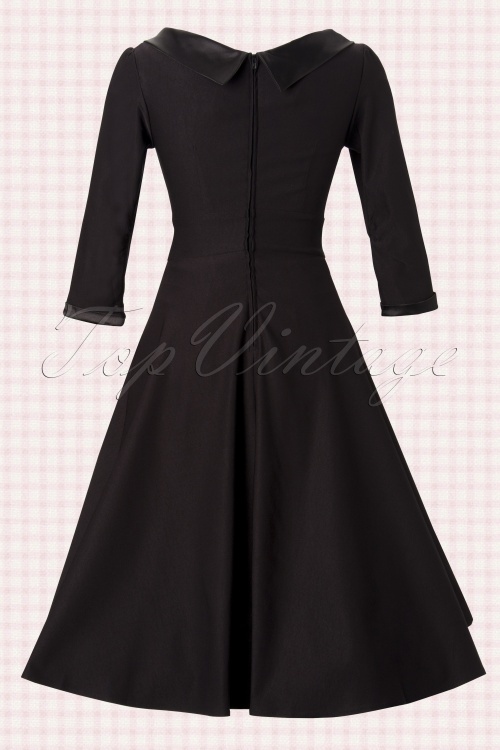 is a fantastic 50's inspired swing dress in all black for a super classic and formal feel. 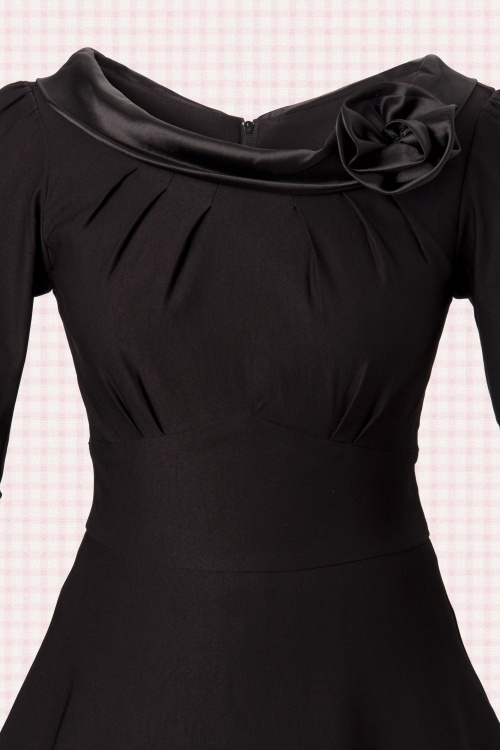 The scoop neck is lined with a black satin and there is a satin rose applique along the neckline. The waist is cinched and there is a full swing skirt. 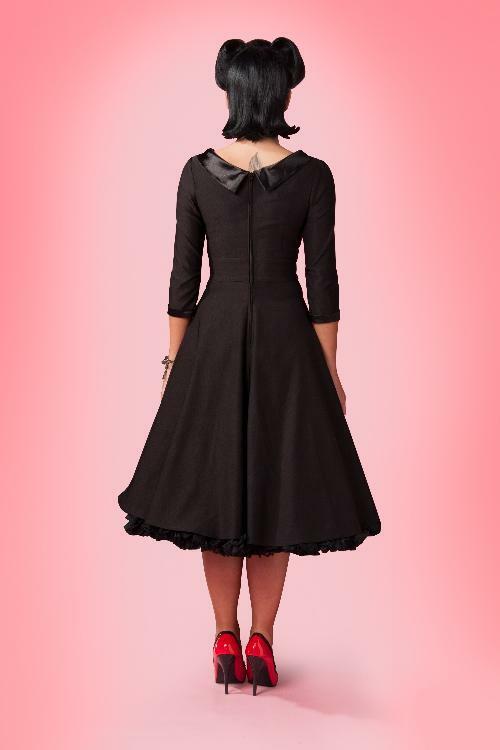 The dress can be worn with one of our petticoats as shown on the pictures. As seen in Quote and the German magazine In touch!